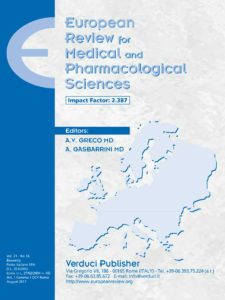 We would like sincerely thank the authors, readers, editors-in-chief, editorial board members, reviewers, and all the staff who have contributed to the development of European Review for Medical and Pharmacological Sciences. The full text of the articles can be downloaded free of charge. VITAL study: an incomplete picture?